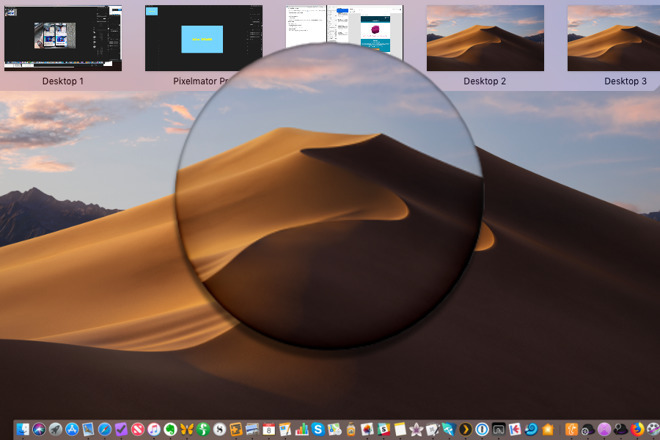 While you're exploring the new Finder and trying out Dark Mode, take a turn into the Mac's less heralded but potentially much more useful virtual desktop Spaces. AppleInsider talks about how great it is —and why it's sometimes perplexing. 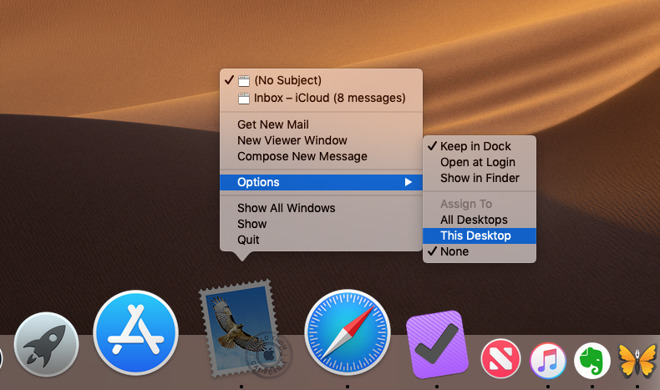 Even Apple seems to have forgotten this feature as it received no updates at all for macOS Mojave —at least no visible ones —and unfortunately it has call to be updated. Right now certain elements feel oddly unfinished and others are downright confusing. Yet when you know what this feature is supposed to do and you know how to work around its oddities, Spaces can be a boon. Take the time to explore it now and you'll either be amazed —or at least able to tell people what this odd corner of the Mac is all about. 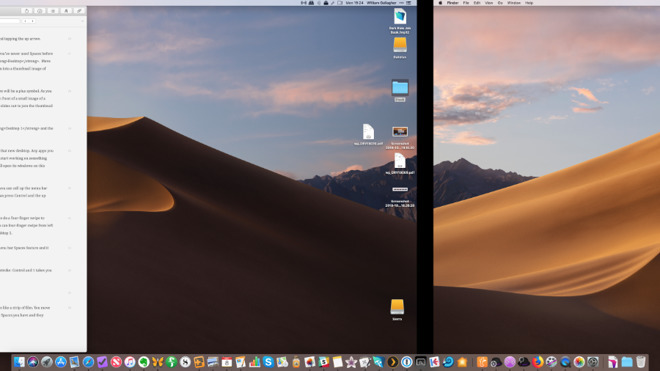 Now whenever you launch that particular app, it will switch to Desktop 2 —or whichever you've chosen —and then open. Not only are the names of these different Spaces completely unmemorable —try remembering whether you put podcasting apps in Desktop 2 or 3. And then if you do remember, also recall whether you've since dragged those desktops around as your Mac renamed them. Open Mail, for example, and then make it full screen by clicking in the green traffic light icon. 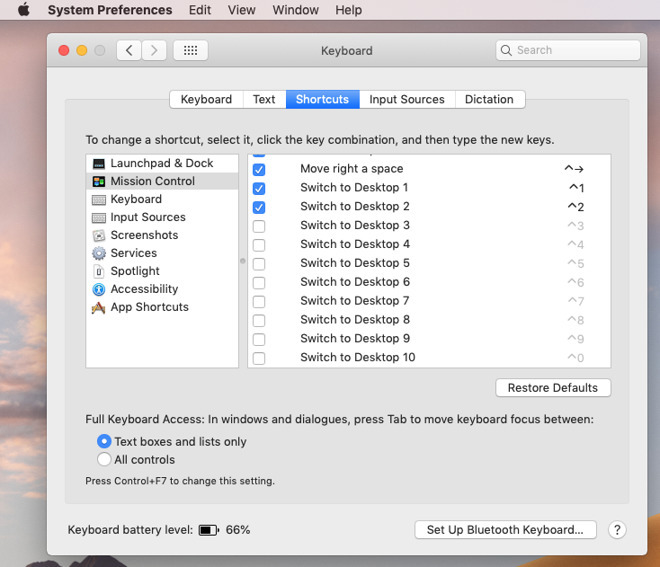 Now do the four-finger swipe up that normally reveals Expose and the Spaces menu bar. This time it does reveal those but it also immediately moves Mail up into its own new Space —which it calls Mail. We've talked about moving all your podcasting apps to one Space and, say, your accounting ones to another. That works perfectly —in the few cases where you only ever use one application for one thing.